Through this useful construction video tutorial, the renowned civil engineer Sami Ullah, teaches the civil engineering students how to determine the depth of beam with thumb rule and with adherence to the ACI 318-14 code. This Code approaches structural systems, members, and connections along with cast-in-place, precast, plain, nonprestressed, prestressed, and composite construction. provides minimum requirements for the materials. The code offers design, and detailing of structural concrete buildings and, where relevant, nonbuilding structures. 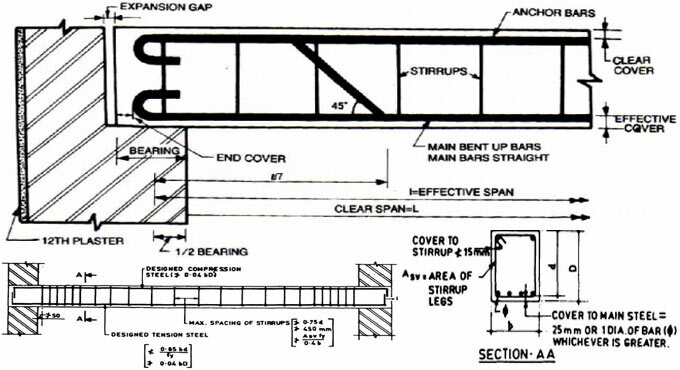 As per ACI 318-14 code the length of beam is equivalent to depth of beam. The measuring unit for length is feet and the measuring unit for depth is inches. So, if the length of the beam is 15 feet, then the depth will be 15 inches. If the length is 5 meter then the depth will be 16.40 (5 x 3.28) inches since 1 meter is equal to 3.28 feet. Therefore, the depth of the beam will be 16.40 inches.